August 18-19, 2017, we welcome you back for the tenth edition of the expo! Sawmills, thermal power stations and pulp mills place their orders with the forestry companies, who construct logging roads with the help of entrepreneurs, in order for timber contractors to log and split, hauling companies to load on trucks and transport, often via transshipment terminals for further transportation by rail operators to the next transshipment terminal or for unloading at the terminus of the thermal power station, pulp mill or sawmill. 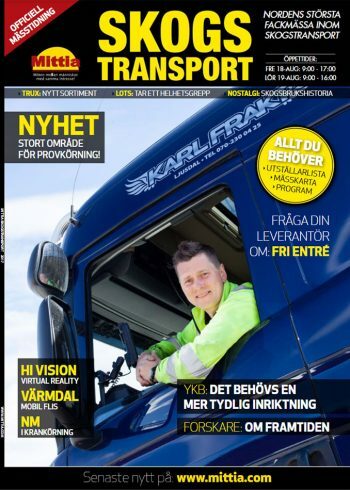 Since 1999 the trade fair Mittia: Wood Transportation Expo has expanded to become the number one meeting place in the Nordic countries for everyone involved in the industry. This is where you can see the latest innovations, make business deals and discuss the pressing issues for moving the industry forward. 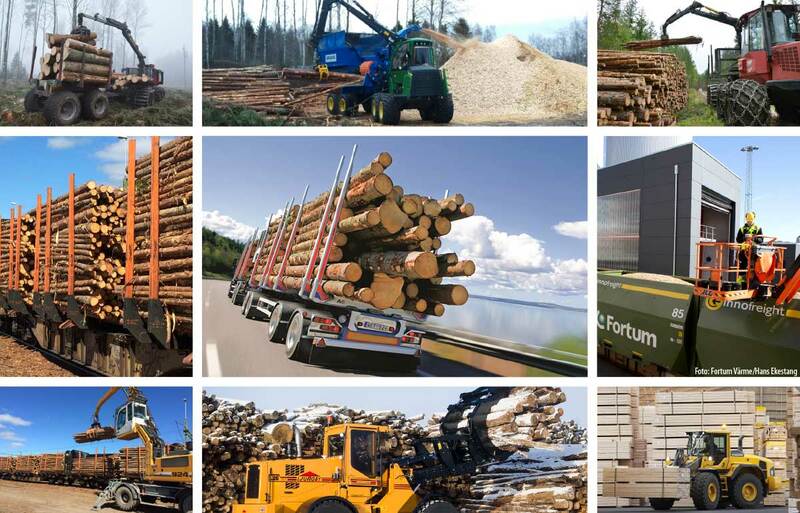 Producers and vendors of products for every step within the wood transportation chain; vehicles, logging machinery, towed machines, superstructures, truck and terminal cranes, loaders, logging road machines/equipment, equipment for wood transportation by rail and sea, as well as all related peripheral equipment. The expo takes place outdoors in order to establish good conditions for test runs and live demonstrations. NEW THIS YEAR! We have expanded the expo area with a demo park and test run exhibition stands! Transportation buyers from forestry companies and the pulp, power and wood industries, haulers, drivers and other staff from the hauling industry, timber contractors and entrepreneurs within terminal management and logging road construction.